Planning your special evening? From a cozy night in to checking out the latest bars, options abound right here in the neighborhood. 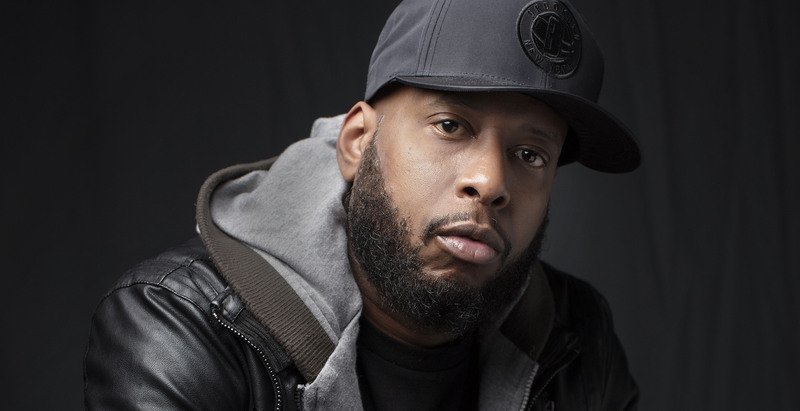 Celebrate your love for Brooklyn with local legend Talib Kweli as he takes the stage at BRIC. The Brooklyn-based MC has earned his stripes as one of the most lyrically-gifted, socially-aware and politically-insightful rappers to emerge in the last 20 years. 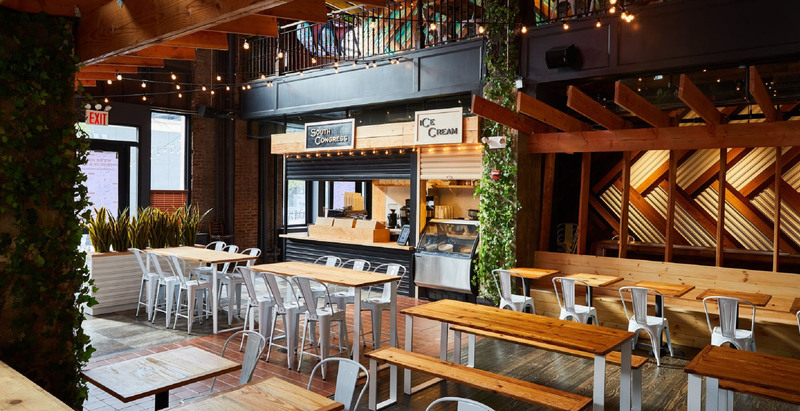 After that’s over, head to Dekalb Market Hall’s new cocktail bar, Understudy, which is hosting the official after party. Sometimes the best idea is to just stay in and get cozy. Since it’s Valentine’s Day, why not make it classy and indulge in some wine and cheese? Local cheese connoiseurs Belle Cheese, based out of Dekalb Market Hall, can help you pick the perfect brick. Stop by Dépanneur Wines, another new addition to the ‘hood, for expert advice on pairing your cheese with the perfect wine. 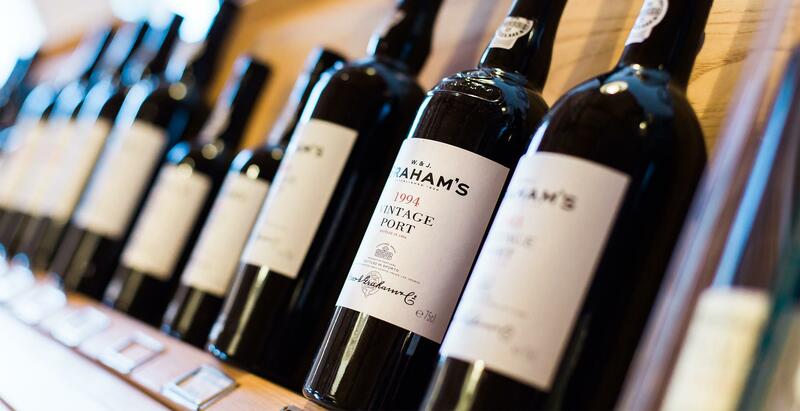 You’ll impress your special someone or treat yourself to some of the finer things in life. Make your way to the Brooklyn Cultural District, where you can spend the first part of the evening getting cozy at recently-opened The Rockwell Place, an intimate bar serving up creative cocktails and a tasty selection of eats. Don’t get too cozy, though - you’ll want to take a jaunt around the corner for a really cool performance at BAM. Non Solus features a young Hungarian troupe’s unique blend of circus and dance, with the performers suspended in mid-air with no net to catch their fall! Get out (but stay cozy) at newly-renovated Hill Country Food Park. Featuring six different stalls of Austin-inspired grub, there’s an abundance of options and plenty of seating on two levels. Enjoy your dinner in the airy new space and then head upstairs to Hank’s Saloon, the legendary Brooklyn bar that recently relocated to DTBK. Whether you’re continuing a date or mingling with locals, the bar is a great place to end the night. 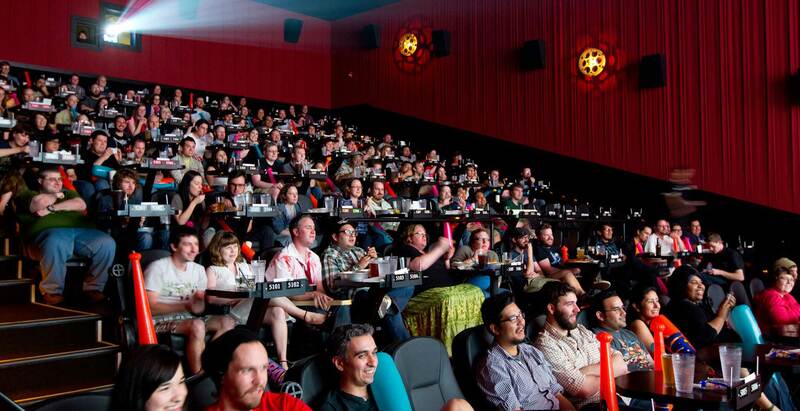 If you haven’t heard about Alamo Drafthouse yet, the reserved-seating movie theater shows the latest movies and serves a full menu of food and drinks during the show. With the Oscars right around the corner, it’s your last chance to see this year’s contenders. Not ready to go home after? Pop into the House of Wax bar, (located right at the entrance to the Alamo) for a nightcap in Brooklyn’s creepiest bar.